The Personal Current account makes your everyday banking easier in so many ways. Open your current account with us today. See how easy it is to apply here. How much is Government Duty on a Visa Debit/ATM Card? Government Stamp Duty (GSD) on Visa Debit and ATM cards is charged retrospectively in January each year for each cash withdrawal made from an ATM / LATM within the Republic of Ireland in the preceding year at a rate of €0.12 per withdrawal capped at a maximum of €2.50 per ATM (cash) card or Visa Debit (combined) card where only the ATM function is used, or €5 per Visa Debit (combined) card where both ATM and "Point of Sale" functions are used. How long will it take for me to receive my new or replacement Visa Debit card? You will receive your replacement debit card within 5 to 7 working days of ordering it. Where can I activate my Visa Debit Card? You should activate your card as soon as you receive it. You can activate your card by carrying out a transaction at any chip and pin ATM. Verified by Visa is a fraud prevention system that protects you from unauthorised online use of your Visa Debit card. When you register, you create a ‘Verified by Visa’ password that you keep secret, like your PIN. When you purchase goods or services online, you will be asked for your Verified by Visa password to authorise the transaction and confirm that the card is yours. Please note, we are making some changes to our Verified by Visa Service which will be phased in from 5th July 2017. Please see a copy of the press notice for more detail. What is the Cross Border Handling Fee that I will be charged if I use my Debit Card abroad? A cross-border handling fee can apply if you use your Visa Debit Card outside of the EU/EEA, this will include the UK and Northern Ireland. The fee varies depending on how the card is used. 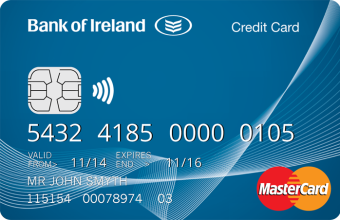 There is no fee for using your Visa Debit Card in a Bank of Ireland or Post Office ATM in Northern Ireland or the UK. How do I open a non-resident account? As a non-resident you will also be required to provide a character reference or financial history from your own bank. What is the difference between a Debit card and a regular ATM card? A Debit Card, besides providing ATM access, enables you to purchase goods and services in store or online. 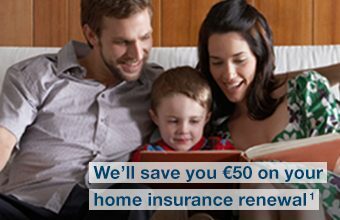 You can also get cashback of up to €100 at participating retailers (assuming availability of funds in your account). What are the benefits of Visa Debit? Visa Debit is accepted worldwide and can be used to purchase goods and services online. It also offers greater protection against fraudulent use. 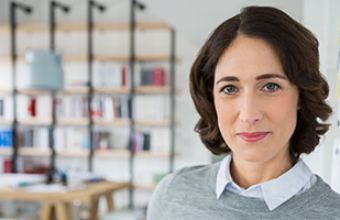 Who can apply online for a personal current account? Be making the application on a sole or joint basis. If you are registered on 365 online, you may apply for additional accounts by logging into 365 online and following the simple ‘Apply’ instructions. What identification do I need to apply online? To apply online for a personal current account, you will need both photo ID and two forms of address verification. You also need to be over 18 years and resident in Ireland for at least 2 years. Our new document upload tool makes it really easy for you as you no longer have to go to the branch to have your ID verified. Simply take a photo of each with your mobile phone or tablet device. You can also use e-bills as your address verification and it’s important that your personal details on each (e.g. full name, date of birth and address) match to those provided in your application form. All 4 corners of your ID must be clearly visible. Keep those thumbs and fingers hidden! Make sure your photo is of good quality and not blurry. Your photo of your address verification documents must be of good quality (not blurry). Your two pieces of address verification must be from different suppliers or if from the same supplier, then different bill types e.g. gas and electricity bills. Where can I use Visa Debit? Visa debit is accepted worldwide across 200 countries wherever you see the Visa logo. What time during the day do incoming credits come into my current account? We process account credits as quickly as possible, but rely on the timing of the payments made by other banks. Because of this, payments may be credited at different times of the working day. No problem. It works like this. Register your BOI Visa Debit for Live Life Rewards, use your card and get great cashback rewards from well-known brands. To find out more, click here.